A new report has joined the family of the SEMrush Backlinks Reports. 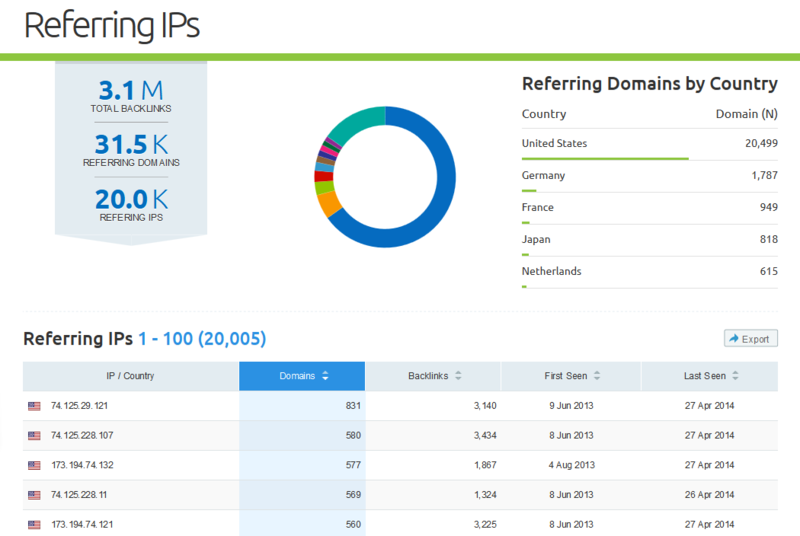 Now you can see the unique IP (Internet Protocol) addresses of referring domains. You will also find the number of domains located at each given IP address, the number of backlinks coming from these domains, and IP distribution by country. The Referring IPs Report is available via API. Now you can also request the Backlinks Overview Report with your API key. It provides data on the number of backlinks, referring domains and IPs, as well as the number of follow and nofollow links. Please refer to API documentation to find all the necessary details.